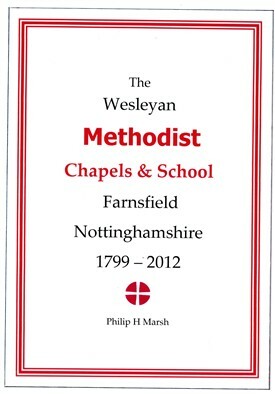 This book traces the history of Methodism in Farnsfield from a time prior to the building of the first chapel in 1799. A section of extracts from the Trustees Minute Book from 1829 records the development of the present chapel and the School which opened in 1840. A section of entries transcribed from the School Log Books from 1863 to 1898 gives insight into the socio-economic situation of the people during the Victorian era and the difficulties faced by the teachers. The refurbishment project of 2011 is illustrated with before and after photographs. An extensive list of Ministers and Local Preachers from 1799 to the present day is included. The final section describes some interesting artifacts associated with the chapel and aspects of village life which impinged on the Methodist community. This page was added by Philip Marsh on 02/05/2018.